Sunday morning's snow was kind of a cruel April Fools joke, especially after the nice afternoon we had on Saturday, the last day of March! High temperatures on Saturday in Jackson Hole topped out at 63 degrees. The high Sunday afternoon was 43 degrees. Courtesy of a cold front that went through overnight Saturday night. 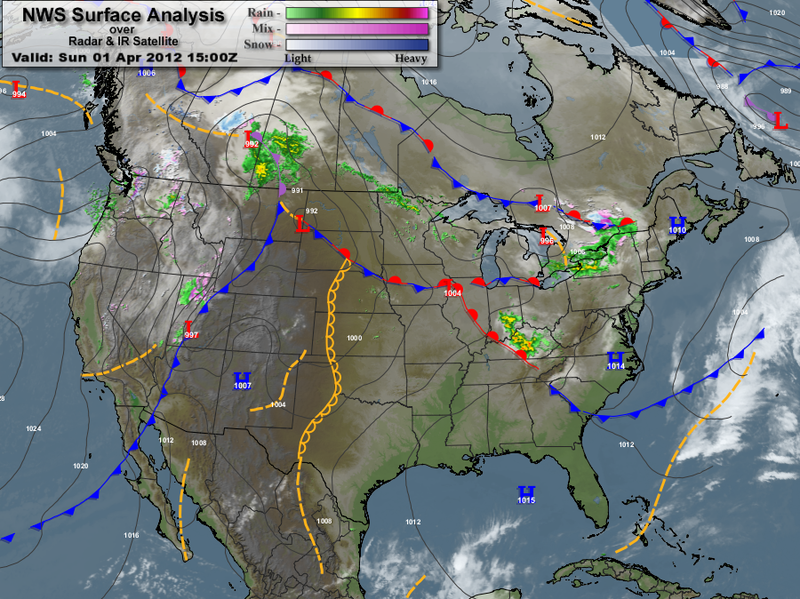 (See this past Sunday's weather map below). Neither of these high temps broke any records. As a matter of fact, the record high for March 31st in Jackson is 70 degrees. Set back in 2004. And actually that whole first week on April 2004 was warm, setting record highs almost every day, in the upper 60's. Which is as warm as we have ever been in early April. Average highs in Jackson the first week in April are in the upper 40's to around 50. By the second week in April we usually see highs in the mid-50's, on average. Record highs in the lower 70's. We go back and forth this week, with temps warming mid-week, then another cold front moving through at the end of the week, bringing some more snow Thursday/Friday. 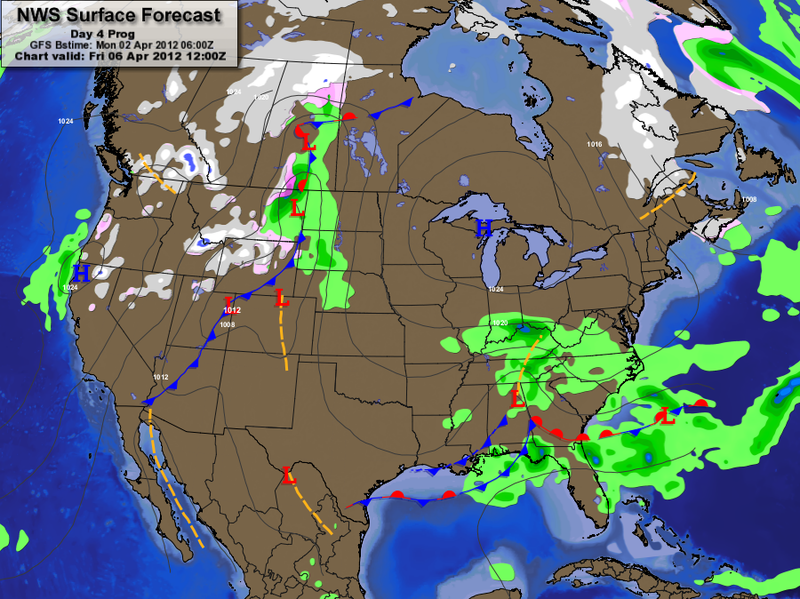 (See forecast map below for Friday). Temps staying cool through the Easter Weekend, before we warm back up to more Spring-like temps just after Easter weekend. Not unusual to see the weather flip-flopping back and forth from spring to winter during April. You just have to have skis, boats, and bikes ready to go .......depending on the weather each day.